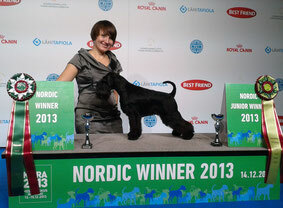 Judge Charlote Orre, Sweden. Black miniature shcnauzers - 31 entries. 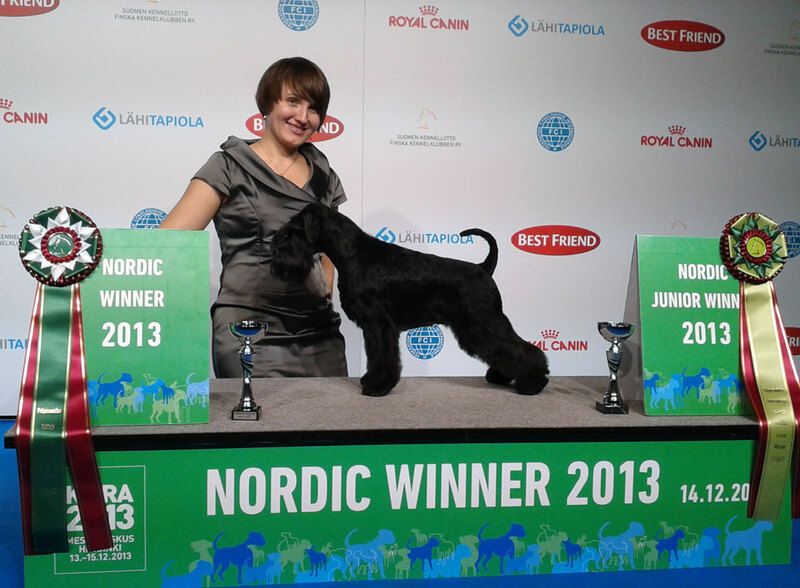 Raven's Tot Just Dance (Britney) won junior class -> Junior Nordic Winner 2013 and then became BOS, getting also Nordic Winner 2013 title and CAC.